Foreign investors must either incorporate their companies as a business entity with foreign investment (BEFI) or as a representative office in order to conduct any activity in Mongolia. 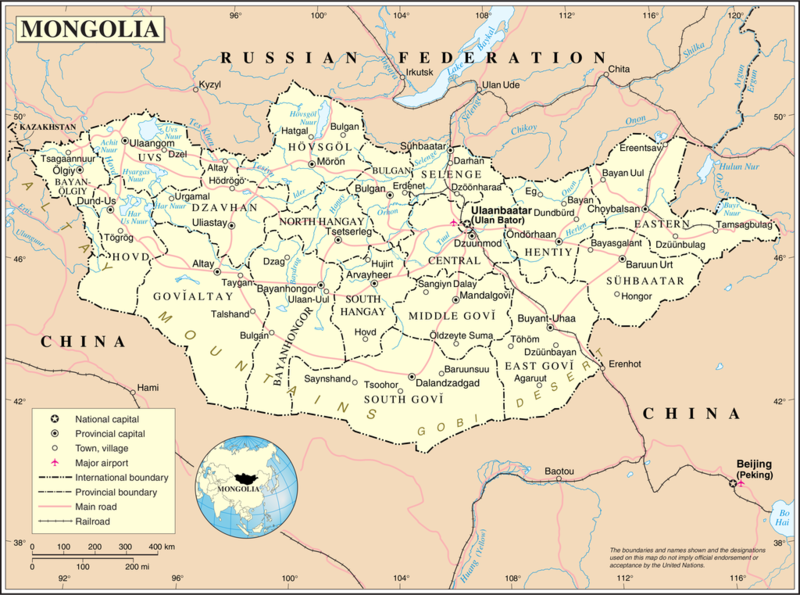 A representative office is defined as an entity that is established in Mongolia solely to operate as a representative office of a parent foreign entity. A representative office does not have the right to earn revenue from business activities in Mongolia. The complete registration process (explained below in the boxes) takes two to three weeks. Once registered, investors must also register with the tax authorities (see taxes tab) and for social security (see labour tab). Original ID of the founder (original passport if founder is foreign citizen). Letter stating power of attorney, if relevant. The document processing of fee 500 MNT needs to be remitted to GolomtBank-1401001101. Open an account in a commercial bank. Application form (UB-12) (one copy). Verification sheet on company name (acquired at the Foreign Investment and Legal Entity Registration). Original decision setting up the BEFI foreign invested company (with official translation). Statute and memorandum of association of the company. if a company consists of one investor, only the statute is needed, with official translation. if a company consists of two or more investors, both statute and memorandum are needed, in two notarized copies, with official Mongolian translation. If the investor is an individual, a passport copy and a filled-in investor registration form. If the investors is a legal entity, a copy of the incorporation certificate and a brief introduction of the company. If the investment is by monetary assets, bank account details and bank documents to verify that the transfer is from overseas. If the investment is by movable property, a customs declaration. If the investment is by intellectual property, the proof documents issued by the state authority of the country. Power of attorney if required. Pay stamp duty (750,000 MNT) to Khas bank 5001122211, Golomt bank 1401002649. The company seal is obtainable within 2 hours at Seal producing company. Application form UB-23 (one copy). Original decision of the parent company establishing the representative office (with official translation). A permit from the parent company's home country to set up a representative office, if required by the home country's laws. Copy of the incorporation certificate and statutes of the parent company. A copy of the civil documents of the head of the representative office. Statutes of the representative office. Pay stamp duty (1,100,000 MNT) to Khas bank 5001122211, Golomt bank 1401002649. A foreign legal entity, with the excpetion of foreign government organizations, limited liability partners and foreign non-governmental organizations, may establish a representative office in Mongolia. A representative office shall not be deemed a legal entity. It may not carry out commercial activities for the profit earning purposes within Mongolia. Upon obtaining the certificate of representative office from the NRSO, the representative office must get a permission to open a bank account from the tax office of Ulaanbaatar City. The Investment Law specifies a number of incentives to investment that may be provided through relevant legislation on tax, land, free zones, and use of foreign labour. Tax stabilization certificates: Issued by the National Development Agency to investors meeting certain criteria related to investment size or location (see attachment). The certificate protects current rates of corporate income tax, VAT, customs duty and mineral resources royalties for a defined period of between 5 and 8 years. Should those rates be amended so as to become more favourable to the investors, the investor may opt for those preferable rates. Investment contracts: Issued for investments exceeding 500 billion MNT. 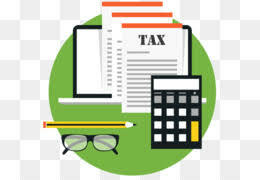 They provide the tax stabilization as well as possibilities to negotiate additional financial incentives and benefits. They may be valid for no less than the periods applicable to tax stabilization certificates. The National Development Agency /NDA/ is the Government regulatory agency under the Prime Minister of Mongolia with aims to ensure the country's economic stability and develop and implement the integrated and investment policy. Also, NDA oversees all matters relating to investors. To develop policy on public and private partnership/PPP/ and concession and to organize the implementation of concession projects. For certain sectors, special licenses are required from line ministries or regulatory authorities. They are detailed below, along with relevant institutions. Mongolia has a population of 3,119,935 million people, of which, according to the labour force survey, the total economically-active population (EAP) of is 1.2 million. The EAP has split 46.3 percent women and the 53.7 percent men. 56.9 percent live in urban areas. The EAP is growing at a rate of 2.6 percent a year. 64.67 percent of the total population are under 35 years of age. Specifically, 30.05 percent or 937,518 of the total population are children aged 0-14 years, 63.82 percent or 1,991,183 people aged 15-59 and 6.13 percent or 191,234 are seniors aged 60 and older. In the fourth quarter of 2016, unemployment stood at 10.0 percent, an increase of 1.4 percentage points on the previous year. Total life expectancy at birth in Mongolia is 68.3 years. Literacy among the adult population is 98.6 percent. Mongolia's school system lasts twelve years with school entrance age at six. In Ulaanbaatar and cities like Erdenet there are private schools, though of mixed quality. Ulaanbaatar also has some foreign-language public schools, for example for Russian, Chinese, Turkish, English, and German. The National University of Mongolia is the country’s oldest. It hosts twelve schools and faculties in Ulaanbaatar, and runs branches in the Zavkhan and Orkhon. Approximately one third of Mongolians with university degrees have graduated from NUM. Mongolian State University is the next biggest, with about 4,000 students. There are seven other institutions of higher learning: the Institute of Medicine, the Institute of Agriculture, the Institute of Economics, the State Pedagogical Institute, the Polytechnic Institute, the Institute of Russian Language, and the Institute of Physical Culture. There is also a network of vocational training for highly skilled workers, such as machinists, heavy-equipment operators, and construction workers. The Ministry of Education, Culture, and Science, often in conjunction with NGOs and outside government organizations, has implemented non-formal distance education programs promoting basic skill development. About 100,000 of Mongolia's 1,200,000 adults are taking part in some form of distance education. In Mongolia, surveys of Mongolian employers reveal key issues as enhancing the employability of Mongolian workers. Improvement should be made in basic education and reducing the drop-out rate. For secondary and tertiary education as well as vocational training, better links need to be established between education/training programmes and skills and knowledge required by enterprises. The government's response has been to create a national council on vocational training, skills standards and certification, involving key stakeholders to support skills development and link it to the demands of the labour market. The Labour Law, 1999, known as the labour code governs labour relations, health and safety requirements, minimum wage levels, and maximum hours of work regulations, collective employment agreements and resolution of employment disputes. Additional labour laws also form part of the regulatory framework and are attached below. The ordinary work week is 5 days and 40 hours, with special provisions for seasonal shift work, such as extractive industries or agriculture. Basic annual vacation for workers is 15 days, increased both for additional years of service and work under difficult conditions. 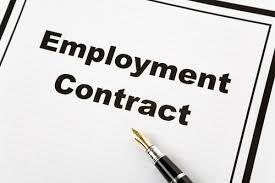 Employment contracts may be either permanent, fixed term or temporary. Overtime is reimbursed at the rate of at least 1.5 times the standard rate of pay. deductions from worker’s pay, other than for income tax and child support are limited to 20% of gross monthly wages. An employee may resign with 30 days notice. Investors may obtain work permits for expatriate employees subject to a quota defining the percentage of expatriate to local employees (see attached document). For most sectors, this quota stands at 5 percent, although up to 80 percent in some extractive sectors. Obtaining work permits within the quota is significantly easier than outside the quota. See document on quotas for more details. An employer applies to the Ministry of Labour with a copy of the employee's contract and a letter justifying the need to bring an expatriate worker. Upon approval of the permit, the Ministry of Labour informs the Immigration Department. The employee must then, within 90 days, apply for a single entry visa at the nearest embassy. On entering the country, the employer must, within seven days, bring the employee's passport to the Immigration Department to be stamped. 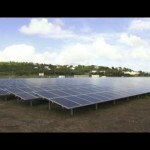 The employer must then recontact the Ministry of Labour, which issues a letter defining the duration of the permit (up to one year renewable). The employer then returns to the Immigration Department, with the letter, to apply for the employee's Certificate of Alien Registration, which takes the form of a smart card. If the employee needs to travel out of Mongolia, the employer must bring the passport to the Immigration Department to apply for an exit and re-entry visa. The process takes three days, although it is now also possible immediately at the airport prior to the flight. There is a monthly fee of 384,000 MNT for work permits. Exemptions to this fee are provided in the box below. The CEO and owners of a BEFI do not need to obtain work permits in order to work in Mongolia. They may instead obtain an investors’s card from the National Registration and Statistical Office and a T visa, which exempts them from the workplace fee. Neither the quota nor the monthly fee apply to expatriate workers in free zones. The law on the rights of foreign workers states that expatriate employees shall have equal rights before the courts and the law as Mongolian workers. All expatriate employees, apart from employees from embassies or organizations set up through special treaties, must be paid in local currency through a bank account in Mongolia (as per the Law on Conducting Settlement in National Currency, 2009). They may then freely transfer their salaries overseas. 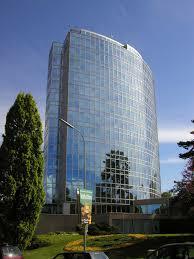 Up to three representatives of investors, members and headquarters of foreign invested entities. The table below presents some typical salary ranges paid by foreign investors in Mongolia. For information, the minimum monthly wage is 320,000 MNT (as of 2019). In April 2017, the National Tripartite Committee on Labor and Social Consensus convened to increase the minimum wage by 25%, setting it at 320,000 MNT. The new minimum wage will be implemented starting from January 1, 2019, with an hourly rate of 1,428 MNT. Around 4-5% of the Mongolian workforce earns the minimum wage, and members of the committee believe that the increase is one way to help citizens improve their living standards. 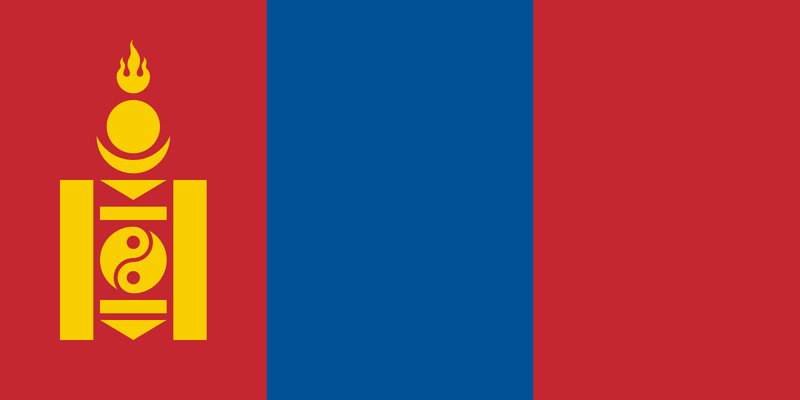 The Parliament of Mongolia adopted the Amendment Law ("Amendment") to the Law of Mongolia on Labour ("Labour Law") on 21 April 2015. With a stated purpose of aligning the Labour Law with international standards, including those of the United Nations, the Amendment seeks to provide detailed regulation on previously unclear provisions of the Labour Law, such as probationary periods, internship/apprenticeship periods, and part-time employment. The Amendment also increases the level of fines for violations of the Labour Law by employers, in order to ensure the protection of employees' basic rights. The Labour Code used to allow the conclusion of an employment agreement with a probationary period up to 6 months, although this was not defined. The Amendment introduces a definition of "probationary period", which must not exceed 3 months. The Amendment makes it clear that the purpose of the probationary period is to determine whether the employee is suitable for his or her position in terms of the skills and abilities required. The Amendment also introduces a definition of "apprenticeship period", which provides that employers may hire an apprentice to be trained by an experienced employee during the term of the apprenticeship. The term of apprenticeship must not exceed 3 months. The concept of part-time employment was not reflected in the Labour Law until the passing of the Amendment. Due to the lack of regulation, part-time employment was regulated by the use of paid service contracts governed by the Civil Code of Mongolia, which caused problems in practice. Now employers must conclude employment agreement with a part-time employee and their employment relations will be regulated under the Labour Law. The hourly rates of part-time employees must not be less than that of full-time employees. One practical issue with the Amendment is that it is drafted to state that a part-time employee's salary is payable "immediately" after the work is completed which, in our view, is problematic. In most jurisdictions, part-time employees on long term contracts are generally paid in the same manner as those who are working on a full-time basis. The Amendment increases the fine payable for not entering into a written labour contract from MNT 5,000 - 20,000 to MNT 500,000 – 1,000,000 (US$ 250 - 500) for company officers and from MNT 50,000 - 100,000 to MNT 5,000,000 – 10,000,000 (US$ 2,500 - 5,000) for the company itself. In addition to the wages specified above, the following additional benefits are required to be provided by the Labour Law (see below in relevant documents). 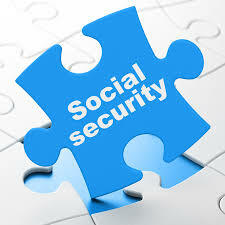 Further, employers and employees are required to make social security contributions as set out in the next section. Mongolia's social security system provides a number of benefits to employees. It is funded from employer and employee contributions set out in the table below and which are tax-deductible. Employee contributions are capped at 192,000 MNT a month. All employers must register at the Social Insurance General Office. Pension benefit of 45 percent of the last monthly salary is paid after 20 years of service, increased by 1.5 percent for every additional year worked. Invalidity and survivor's elements are also provided. Health benefits starting the 7th day of illness (the previous six days are covered by the employer) and extending to the 78th or 156th day of illness depending on illness type. Maternity benefit for three months paid at 70 percent of salary. Unemployment benefit at between 45 and 70 percent of salary for 76 working days. Invalidity benefit resulting from a workplace accident or illness calculated as a percentage of the salary according to the severity of the invalidity. Additional benefits for eligible dependents in case of death. Investors noted that there was abundant labour in Mongolia but that any employer needed to be prepared to invest significantly in training. Work permits were relatively easy to obtain when within quota, especially where a worker is highly-skilled. Beyond quota, gaining an exception could be challenging and the process lengthy. Investors would appreciate more flexibility, especially for hard-to-find technical skills. Concerns were raised about the need for an exit visa, which is an unusual requirement. It was also reported that expatriate workers had had visas revoked following business disputes or had had trouble obtaining exit visas. Electricity is estimated to reach 80 percent of the population. Of the electricity consumed, 80 percent originates from coal, four percent from diesel, three percent from renewables, mainly hydropower, and 13 percent imported from the Russian Federation. Maintenance and consolidation of the grid remains a challenge. A fifth power plant is under consideration for the Ulaanbaatar area, although a concession agreement has yet to be concluded. Mining (day) USD 0.07 2016 6 a.m. to 5 p.m.
Mining (evening) USD 0.13 2016 5 p.m. to 10 p.m.
Mining (night) USD 0.03 2016 10 p.m. to 6 a.m.
Industry (day) USD 0.06 2016 6 a.m. to 5 p.m.
Industry (evening) USD 0.10 2016 5 p.m. to 10 p.m.
Industry (night) USD 0.04 2016 10 p.m. to 6 a.m.
Water is essentially supplied in urban areas. Water prices are below. As of the 2018 the four major Mobile operators - Mobicom, Unitel, Skytel and G-Mobile reported more than 5 million registered users in total. Most players have worked to expand their coverage of rural areas with 2G service, in order to ensure that the country’s substantial rural population has access to telecoms services. 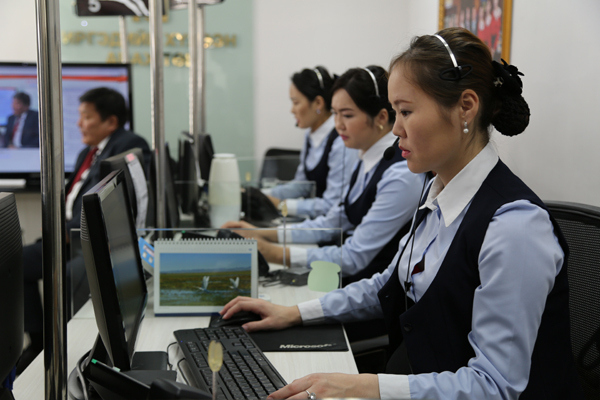 Despite these issues, operators have continued to invest in new technology in Mongolia. Indeed, expanding 3G and 4G (LTE) services is regarding as the most promising means of boosting ARPUs in the coming years. Smart phones and, consequently, data service; have become increasingly popular throughout Mongolia in the past two or three years, with the growth largely focused in urban areas. While the number of internet users in Mongolia has risen quickly in recent year, many Mongolians have yet buy into segment. The installation of the fibre-optic cable network started in 2002, with 17.000 km of high-speed fibre and transmission facilities covering 279 soums (districts) and 21 aimags (provinces) already deployed. As a result of these efforts, 90% of soums now have access to broadband internet, as well as public and private e-services. The transportation situation in Mongolia has improved a great deal over the past few years. Substantial additions have been made to the road system with the total of 5469 km being built between 2012 and 2016. While landlocked and remote, Mongolia has been developing domestic connections and international links for decades, and some of these efforts have proven to be substantial. Mongolian first highway was built in 1937 and it connected Ulaanbaatar with Sukhbaatar and Altanbulag, on the Russian border. Out of a total of 50,000Km of roads in Mongolia only about 5,000km (10%) are tarmac (asphalt) paved roads. A further 38,000 km of roadways connects regional (Aimag) centres with their surrounding conurbations and rural regions. Of this second-tier road network a mere 400km is paved and 500km has a gravel surface. 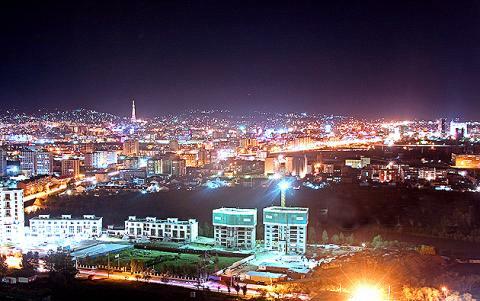 In 2016 it is expected that over 2,000km of new paved roads will be completed to connect all provincial centres to the capital city Ulaanbaatar. All other roads are gravel and dirt roads. The majority of paved roads are roads leading out of the capital city Ulaanbaatar. The first railway was completed in 1939, connecting the coal mine at Nalaikh with the power station in Ulaanbaatar. 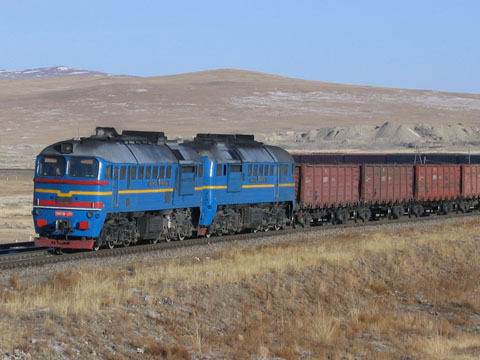 The Trans-Mongolian Railway is the main rail link between Mongolia and its neighbours. It begins at the Trans-Siberian Railway in Russia at the town of Ulan-Ude, crosses into Mongolia, runs through Ulaanbaatar, and then passes into China at Erenhot where it joins the Chinese railway system. 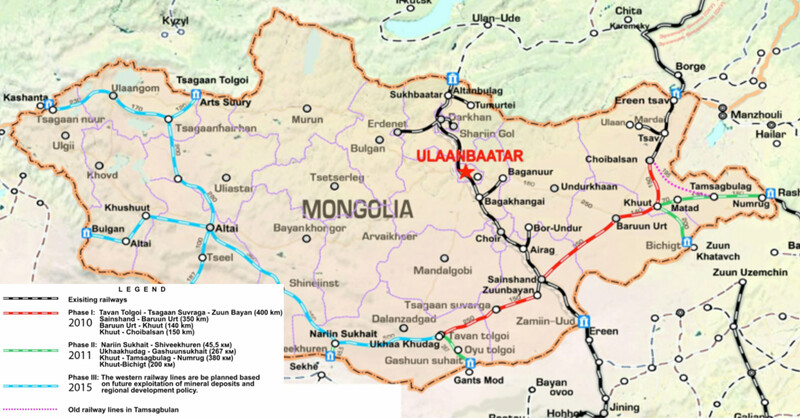 The Ulaanbaatar Railway (UBTZ) was formed in 1949, and a 404-km line was run from Ulaanbaatar to Naushki in Russia, with the connection operating from 1950. The route was extended south to Zamiin-Uud in 1952, and the connection with China was operational in 1955. The UBTZ transformed Mongolia and allowed many of the assets once used for hauling to be retasked to other parts of the country. Other stops are Sükhbaatar, Darkhan, Choir, and Zamyn-Uud/Ereen hot (border crossing and gauge-changing station). The line was built between 1949 and 1961. In most of Mongolia, it is single track, and in China double track. The gauge is 1,520 mm in Russia and Mongolia and 1,435 mm in China. There are important branches leading to Erdenet and Baganuur. A new railway is currently under serious consideration to connect coals mines in the South of the country, including Tavan Tolgoi. to the Chinese border where a railhead already exists. Mongolia's main international airport is Chinggis Khaan International Airport, located approximately 20 km from the capital. Direct flight connections exist to South Korea, China, Thailand, Hong Kong, Singapore, Japan, Russia, Germany, Kyrgyzstan, and Turkey. 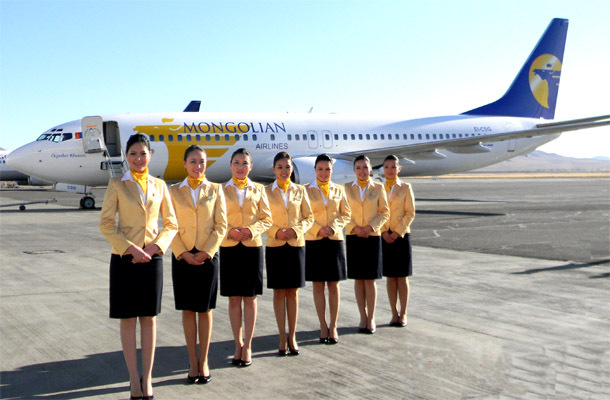 MIAT Mongolian Airlines is Mongolia's national air carrier operating international flights, while other domestic air carriers such as Aero Mongolia and Hunnu Airlines are serving both domestic and regional routes. 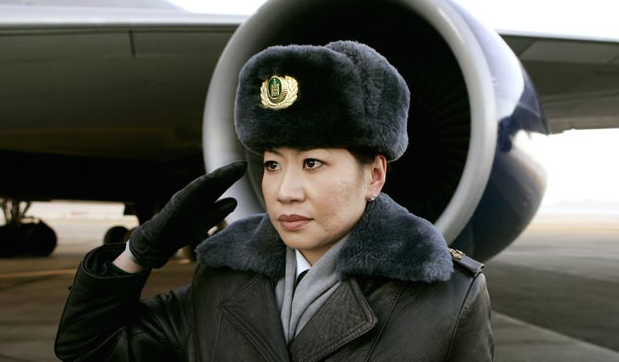 Domestic airports are: Moron airport, Ulaangom airport, Dalanzadgad airport, Khovd airport, Ulgiit airport, Uliastai airport, Choibalsan airport, and Khatgal airport. Mongolia is a land-locked country. The cost of transporting a container from Tianjin (China) to Ulaanbaatar is below. For indicative purposes, a basket of goods and services that investors may face are included below. Telecommunications, especially the internet, were seen as fast and reliable. The electricity supply was not always consistent. However, the construction of fifth power plan in Ulaanbaatar, although the concession agreement has yet to be reached, would likely meet supply for the medium term. Investors noted that roads to almost all provinces were now paved, reducing transport costs and times. With regards to investment in infrastructure, investors cited concerns about consistency across government in its strategy and approach. The scope of growth for renewable energies was also seen as limited by the capacity of the electricity grid to store excess energy and competition from cheaply-mined coal-generated power. Mongolia’s surface area is 1.6 million square kilometers of land, of which 74 percent is classified as pastureland or agricultural land, 8.9 percent forest land, and 0.4 percent is given over to urban space. 15.5 percent is allocated as land for special purposes, the majority of which is defined as land under which there exists “strategic mineral resources”. Foreign investors may not acquire land. They may, however, lease land from the state or purchase immovable property which sits on the land with the ownership of the property locking in the underlying land. 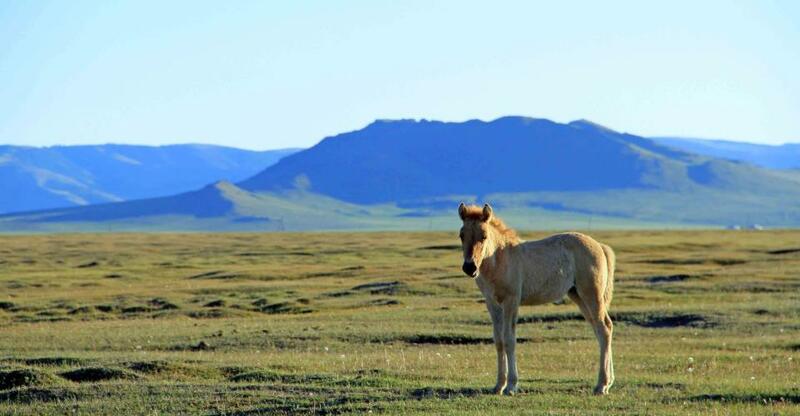 Private land may be freely acquired by Mongolian entities. City centres and pasture land are generally state land. Possession licenses: these last 15 to 60 years (with extension possible for a further 40 years), and include the right to manage the land. Use licences: these last for up to five years (with one extension), and allow a user to for example construct a building. Once the license expires, ownership reverts to the original owner, in this case the state, but ownership of the immovable property (such as a building) remains with the investor. 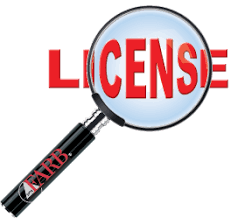 Licenses may be withdrawn by the state for projects of national scale or interest, or if the use of the property is not in line with the originally agreed conditions. Immovable property ownership certificates are legal deeds to ownership of a property that can be freely transferred or used as collateral for loans and mortgages. Ownership of the immovable property locks in the underlying land. All rights on immovable property (including ownership, possession and use) and all subsequent amendments regarding the immovable property, including collateral agreements, must be registered with GASR. Indicative rental prices are displayed below. The Construction Law and regulations set out the procedures to apply for a construction permit. The Construction Development Centre functions as a single window for processing applications. According to the centre, applications for permits are treated within 15 working days and set against the urban masterplan. All construction is also subject to an environmental impact assessment (see below). Following completion of construction works, a state commission verifies that the works are in line with the specifications set out in the permit and issue a certificate. Without the certificate, the building will not be registered with the property register and no utility services will be provided. An EIA should be submitted within 60 days of a construction permit. Once submitted, the ministry conducts a review during which it may request further details. Based on this review a decision is made or recommendations provided on how to improve the proposal. Tsagaan Nuur, a port on Khuvsgul lake. Free zones are established by government but need not be in border areas. The benefits of operating in free zones are described in the box below. Goods imported to a free zone from abroad are free of VAT, excise and customs duties. Goods exported abroad from a free zone shall be free of VAT, excise and export customs duties, except where the law foresees an export customs duty. Goods imported to a free zone from the Mongolia customs zone shall be free of export customs duty from Mongolia if these goods were earlier imported from abroad and relevant VAT, excise and customs duties were already paid. Such goods are exempted from VAT, excise and customs duties when re-entering Mongolian customs territory. Mongolian products imported to a free zone from the Mongolia customs territory may be subject to export customs export duty. However, VAT will be refunded. Mongolian products returning to the Mongolia customs territory from a free zone are exempted from export customs duty, although VAT will be levied. New goods entering the Mongolian customs territory from the free zone are subject to VAT, excise and customs duty. Investors operating in retail, tourism and hotel management shall be exempt from the land fee for the first five years and will then receive a 50 percent discount for the next three years. Investors operating in infrastructure and construction sectors such as energy, heat and cable network, clean water supply, sterilization, railways, airports and highways, shall be exempt for the first ten years. Buildings registered in a free zone are exempt from the immovable property tax. The expatriate quota does not apply. The work permit fee does not apply. No particular concerns were raised with regards to the acquisition of land. However, it was felt that the sector needed to be better regulated and that recent construction especially around Ulaanbaatar had not followed urban planning guidelines. A recent construction boom had led to an over-supply of high-end residences and office space but a low supply of affordable housing. Contributing factors to this situation were high labour costs in the construction sector, limited periods in which to build because of the seasons, the high cost of imported products and high financing costs. Taxes are administered by the General Department of Taxation and Customs. The tax year is from 1 January to 31 December. Quarterly returns are due by the 20th of the month following the quarter. Tax is paid by the 25th of each month. Mongolia operates a self-assessment system. Corporate income tax is also levied on dividends from local and foreign subsidiaries. Tax returns should be submitted quarterly and annually and may be filed online. They are based on self-assessment. The General Department of Customs and Taxation conduct audits on a risk assessment basis. Tax and depreciation rates are below. Depreciation is assessed on a straight line basis. All investors are required to register with the General Department of Taxation and Customs. Parliament of Mongolia approved amendments to the 2017 State budget, with proposed tax increases in accordance with the Staff-Level Agreement between Mongolia and International Monetary Fund on Three-Year Extended Fund Facility. In regards, following tax increases will take effect on May 1, 2017. Majority or the 75-86 percent of vehicles registered in Mongolia are outdated and more than 10 years old, causing negative impacts on the environment and increasing amount of air pollution. Therefore, the tax rebate for hybrid vehicles, LPG-fueled vehicles, and electric vehicles is set to be decreased by 50 percent while excise taxes on vehicles will be increased depending on the engine capacity and aging. For instance, excise taxes on vehicles with engine size less than 4500sm³ will be added by 3-15 percent and vehicles with engine size more than 4501sm³ will be added by 40-250 percent. Thus, vehicle excise tax revenue expects to increase MNT 33.8 billion and reach MNT 57.3 billion. Interest income on personal savings accounts will be taxed from May 1, 2017. Previously, it was said to be imposed on only owners of savings more than MNT 100 million. However, it was decided to be applied to all owners of savings. Owners of savings will pay 10 percent of taxes on their interest income. · MNT 70 billion in 2019. Customs tax on imported tobacco is now at 5 percent. Minister of Financeof Mongolia noted that the customs tax on tobacco is lower than limits set by the World Trade Organization and it shall be increased up to 30 percent. Therefore, customs tax on imported tobacco will be increased by 30 percent. Thus, it expects to increase state revenues approximately by MNT 20 billion in 2017, MNT 26 billion in 2018 and MNT 27 billion in 2019. Goods exported from Mongolia for use or consumption outside Mongolia are zero rated and companies can either offset the amount or apply to the MTA for VAT refunds. 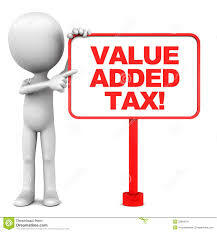 Certain goods such as domestically grown food staples and some mining equipment are VAT-exempt. Firms with a turnover of 8 million MNT or representing an investment of more than 2 million USD may register for VAT. 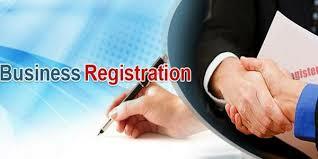 Registration becomes compulsory when turnover reaches 10 million MNT. The Government levies customs duties (including some for export) and excise taxes on a range of goods. These taxes are charged either by volume of value. The full schedule is attached below. Importers, may under certain conditions and by agreement, store imported goods in a bonded warehouse for up to two years, with consequent delay in import duties. Payment of duties can be made online via the Automated System for Customs Information Management (GAMAS). Personal income tax is payable by any resident of Mongolia (resided more than 183 days in a year) on their global income. Someone who has resided in Mongolia for 183 days of fewer, is taxed only on income earned within Mongolia. Tax rates are in the table below. There is a personal allowance of 84,000 MNT a year. The tax regime was seen as business-friendly. VAT refund for exports was seen as relatively efficient. However, it was felt that tax audits could be inconsistent with regards to how tax obligations were assessed. Mongolia has certain legal and treaty measures exist to provide protection to your investments. The Parliament of Mongolia passed the new Investment Law in 2013. The main principles of this law consist of non-discrimination between foreign and domestic investors, tax stabilization and non-tax incentives, liberalization of market and reduction in number of license and permits as well as cost and bureaucracy. Mongolia is signatory to the bilateral and multilateral investment agreements and treaties. 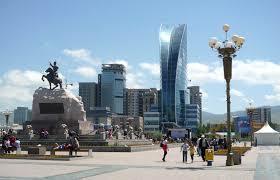 Comparatively, Mongolia has internal and international investment protection. 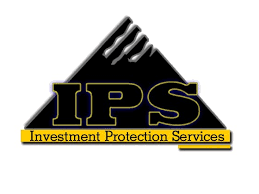 The Government of Mongolia established “Investment Protection Council” (IPC) in 2016 by the decree of the Prime Minister of Mongolia. The functions of the council include to protect legitimate rights of investors, swiftly address petitions and grievances related to government authorities and to take possible measures to reduce imminent risks pertaining investors. Make proposals the implementation of laws and resolutions related to investment, and introduce it to Cabinet. The council should be supernumerary and the Council’s operation should be permanent. According to the article 7.4.5 of the “Law of Mongolia on the Legal Status of Foreign Nationals”, a foreign national who is residing in Mongolia for an official or private purpose, is obliged to carry a passport or a residence certificate (certificate of alien registration) with himself/herself which is issued by the relevant authority. Please NOTE that if a foreign national determined as not holding a passport or other travel documents with himself/herself during the inspection process, the one shall be fined with 100’000 (one hundred thousand) tugriks in conformity to the “Law on Infringement”. Therefore, please fulfill your legal responsibilities in order to avoid any violations. In the process of drafting and approving investment-related legislation and policies, it is critical to ensure equal participation by the public, private sector, and investors in policy making; to comprehend the voices of the private and non-governmental organizations whose interests are affected. For that purpose, "Public-Private Consultative Committee" was established in accordance with the decree No 320 by the Cabinet Secretariat in December 2017. The Committee’s activities will be “permanent” and will be operated by the Investors Protection Council. The Chairman of the Consultative Committee is from National Development Agency, representing the public sector and Vice Chairman is from Mongolian National Chamber of Commerce and Industry, representing the private sector. There are 20 representatives from the relevant ministries, agencies, the private sector and non-governmental organizations such as Ministry of Mining and Heavy industry, Ministry of Food and Agriculture, Ministry of Finance, Business Council of Mongolia, Mongolian National Mining Association, and Chamber of Commerce in Ulaanbaatar etc. - to raise the issues challenging the private sector and it is an important factor in building confidence between the public and private sectors in cooperation at the policy level. The Law on Investment only allows expropriation if in the public interest. Compensation shall be full and at market rates. This mirrors the provisions of the Constitution of Mongolia. Additional protections may be provided by Mongolia's network of bilateral investment treaties (see further below), which may also extend expropriation to acts having the same effect as expropriation and provide that compensation be prompt. Mongolia is a member of the 1958 Convention on the Recognition and Enforcement of Foreign Arbitral Awards (the New York Convention), meaning that arbitral awards relating to foreign investments are legally binding and enforceable. The country has also signatory to the Multilateral Investment Guarantee Agency (MIGA). This membership in MIGA allows direct foreign investment into the country to be eligible for the Agency’s investment guarantees. Investors from Mongolia going into MIGA’s other developing member countries may also receive coverage for their investments. Investors are free to use national or international arbitration with regards to contracts entered into with the state. Further, access to international arbitration is provided for under the Mongolia's BITs. Investors also have access to Mongolia's legal system, which is based on the Roman-German legal tradition. If both parties agree, cases in front of the court can be moved to arbitration. Investors may freely transfer profits, dividends, proceeds from sales, payment of loans and license fees in foreign currency. Commercial banks are allowed to execute international transfers. Further, investors may freely convert their assets into foreign currency. Mongolia has had a favourable approach to signing international bilateral and multilateral agreements. To-date it has signed investment protection and promotion agreements with 43 countries (although six of the signed are not yet in force) and double taxation treaties with 26 countries. Mongolian legislation recognizes the primacy of international treaties in cases of conflict with domestic legislation. Mongolia has had legislation to protect intellectual property since 1944 with the first patent granted in 1963. The Constitution first recognized intellectual property in 1992. Law on Copyright and Related Rights. It is also signatory to a number of international commitments. Mongolia is signatory to the following international intellectual property treaties. Beijing Treaty on Audiovisual Performances (2012) better protects audiovisual performances by giving performers similar rights to those applicable to other copyrighted works. WIPO Performances and Phonograms Treaty (1996) grants performers and producers of phonograms (sound recordings) a number of rights, including the rights of reproduction, of distribution, of rental and of making available. Performers are also granted specific intellectual property rights regarding their live (unrecorded) performances : right of broadcasting, right of communication to the public, and right of fixation. The protection of those rights is granted for at least 50 years. The WIPO Copyright Treaty (1996) extends the copyright protection granted by previous treaties, in particular the Berne Convention, to new information technologies, including computer programmes and databases. 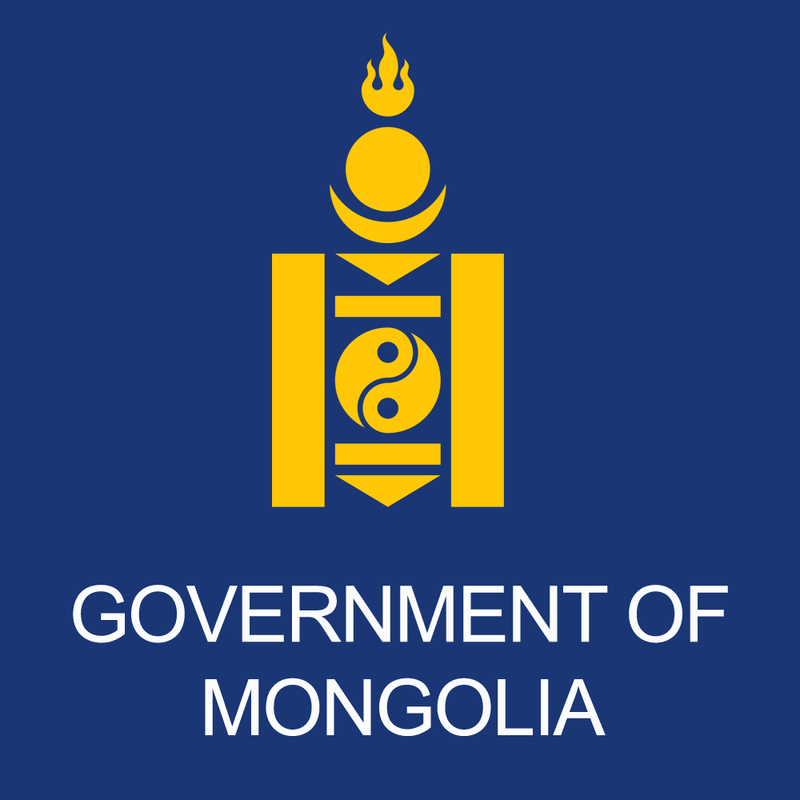 The Intellectual Property Office of Mongolia is responsible for registering and safeguarding intellectual property, in line with the relevant legislation. The Law on Competition 2010, comprises five chapters relating to cartels, unilateral abuses of dominant position, merger review, powers of the Competition Agency and its staff members, control of natural monopolies, and public procurement. Among others, the law forbids illegal use of trademarks, commercial names, labels of others, and distribution and sale of scientific technology, patents, trade secrets without authorization of the author. Concerns were expressed about a shortage of consistency in how the same or successive governments developed and applied policy relating to investment. Investors were aware of restrictions on investment that had been placed by an earlier government and appreciated the more recent liberalization, although some were biding their time to see how things would develop. With regards to how laws were applied, investors pointed to the high turnover of staff in ministries and agencies, leading to lost capacity and institutional memory. They also felt that certain laws needed to be more precise so as to avoid excessive discretion. With regards to dispute settlement, investors noted that arbitral awards weren’t always recognized and that national legal system was not always efficient. "For Mongolia to unlock its mineral potential, the most important issue is for investors to return, and this will depend on the consistency and continuity of policies." "Whilst overseas’ investment in Mongolia is steadily declining, the reverse is true for domestic investment- which is observed to be steadily increasing the last few years. Apart from having a weaker investment climate, commentators explain that it is largely a result of Mongolia’s inaccurate and neglected media image displayed to the rest of the world." "Mongolian energy sector should be developed within a regional energy context while at the same time taking advantage of new technologies, improve energy security and sources of energy that might further promote economic efficiency and environmental sustainability”. "If we find if the right policies and implement them properly can to reach 50. 0 USD billion from global market.That possibility is a doctor of traditional Mongolian medicine, medicine and medical technology." General Electric has been involved in Mongolia for 20 years principally through the sale of locomotives the state railways. However, it is only in the last five years that it has established a representative office so as to explore investment projects in-depth. 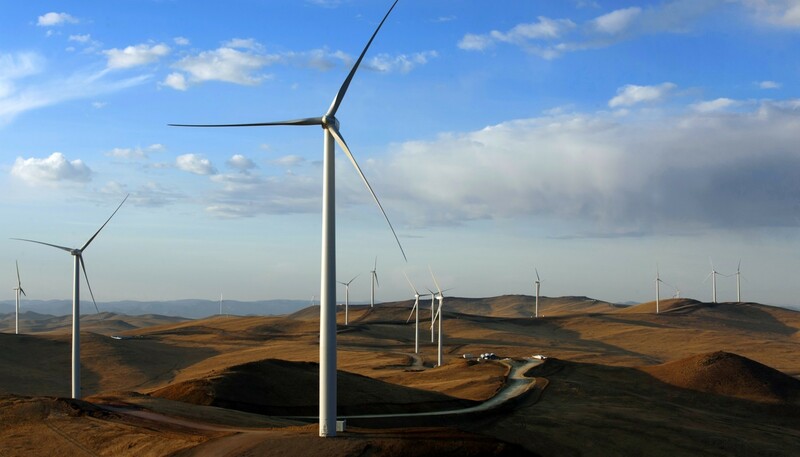 Its most receive project has been a joint investment with local company Newcom in a wind park on the outskirts of Ulaanbaatar. The park, which uses GE turbines, can generate 50 MW of electricity. The aim is to explore opportunities for further production of renewable energy in the south of the country, as well as in thermal power production. GE is sells directly and indirectly, health care equipment, mining products, motors for mining vehicles and jet engines to the national airline MIAT. With its recent acquisition from Alsthom, it will now be able to provide boilers for steam-powered turbines. Looking ahead, the company also sees investment opportunities in infrastructure development, although there have been challenges with the government’s consistency in how this has been implemented. Mongolia's extensive mineral deposits and growth in mining-sector activities have shifted Mongolia's economy, which traditionally has been dependent on herding and agriculture. Mining, agriculture and service sectors are now the principle sectors in contributing to GDP. Growth has been spurred by the export of commodities such as gold, copper, and cashmere. The economy is also highly dependent on trade with its neighbours. For example, Mongolia purchases 95% of its petroleum products and substantial amount of electric power from Russia, leaving it vulnerable to price increases. Trade with China represents more than half of Mongolia’s total external trade, with nearly 84 percent of Mongolia’s exports going to China. Over the past decade, Mongolia has made important changes to its economic system, to become an open, dynamic market economy. Recent changes have also been introduced to its mining and investment legislation to generate stability for foreign investors. Mongolia's dependence on the mining sector has led to volatility, with recent GDP growth varying between 3 and 17 percent in the last five years. The sector also contributes to 89 percent of exports, one-third of the state budget, 22 percent of GDP, and 70 percent of FDI. The Government of Mongolia therefore attaches great importance to diversifying its economy away from commodity exports. To this end it seeks to further develop its industrial (especially mining-related), agricultural and tourism sectors, as well as support sectors in banking and finance, and key infrastructure. Mongolia's exports were $4.7 billion in 2015, down by $1.1 billion on the previous year. In 2017, Mongolia exported to 69 countries with top destinations being China (84 percent), United Kingdom (7.2 percent) and the Russian Federation (1.6 percent). Top products were copper concentrate (44%), coal (15%), raw petroleum (11%), iron ore and concentrate (8%). In 2015, imports stood at $3.8 billion, a decrease of $1.4 billion from the previous year. Mongolia imported goods from 145 countries, with top origins being the Russian Federation (27 percent), China (36 percent) and Japan (7.2 percent). Top imports were petroleum products (22%), cars and vehicles (8%), energy (2%), heavy machinery (2%), cement (2%) and telecommunications equipment (2%). Mongolia has been a member of the WTO since 1997. Mongolian legislation recognizes the primacy of international treaties in cases of conflict with domestic legislation. Launched in 2006, GSP Plus covers around 7,200 products. It is accessible to especially vulnerable countries that have ratified and effectively implemented key international conventions on sustainable development, labour rights and good governance. The EU GSP is the most generous of all developed country GSP systems. The volume of imports to the EU from developing countries under the GSP is greater than the volume of imports under the US, Canadian and Japanese GSP systems combined. The Asia-Pacific Trade Agreement is open to all members of the UN Economic and Social Council for Asia and the Pacific. It aims to promote economic development through the adoption of mutually beneficial trade liberalization measures. In addition to tariff concessions, it covers non-tariff measures, trade facilitation, trade in services and investment. The mining sector plays a key role in Mongolia's economy. 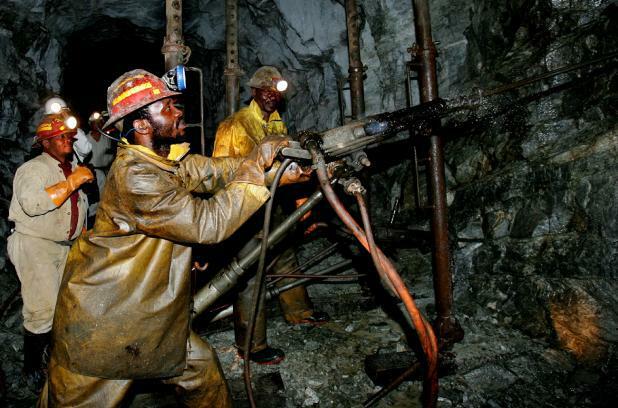 Since the Minerals Law was passed in 2006 it has been amended 22 times, with recent amendments seen as liberalizing the regulatory framework, following a more restrictive approach adopted in 2012. Over 6,000 deposits of approximately 80 minerals exist in Mongolia, among them coal, copper, uranium, iron ore, oil, tungsten, molybdenum and phosphate. Of particular note are Mongolia’s excellent metallurgic coal deposits. Currently, 160 are being exploited. Mongolia’s location next to China provides a ready market for Mongolia’s mineral wealth. As with all industrial sectors in Mongolia, there is plenty of potential to develop supporting infrastructure. Mongolian law provides that mineral resources are the property of the state. Under the Minerals Law, individuals and legal entities may apply for exploration licenses and mining licences which authorise exploration and mining activities (respectively) for minerals within the licence area. Unlike in many other jurisdictions, a license under the Minerals Law relates to minerals generally rather than specific minerals. 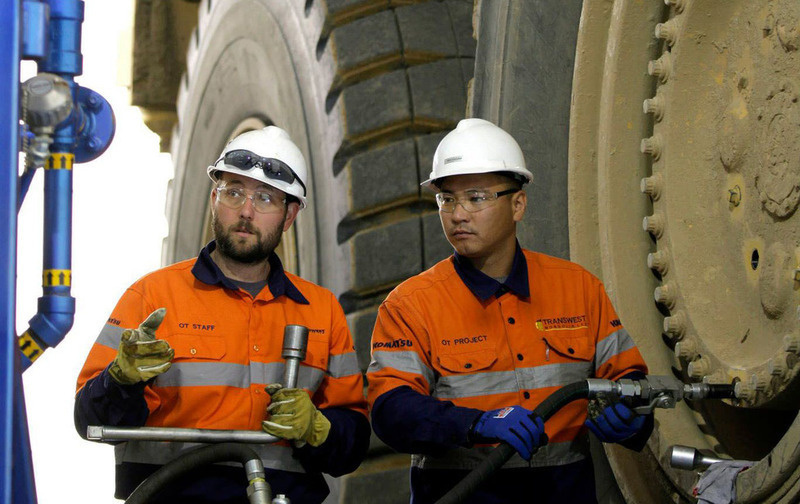 Mongolia's biggest mine is Oyu Tolgoi. Jointly exploited by Rio-Tinto (UK), Ivanhoe Mines (Canada) and the Government of Mongolia, it is expected to yield 450,000 tonnes of copper and 330,000 ouces of gold annually, and contribute an estimated 30 percent to Mongolia's GDP. Rights of a license holder Exclusive right to conduct exploration for minerals; exclusive right to obtain a mining licence; right to transfer or pledge all or any of the exploration licence; right to explore for radioactive minerals if special licence is granted. Right to engage in the mining of minerals; right to sell mineral products at international prices right to transfer or pledge all or any of the mining licence; right to engage in mining of radioactive minerals if a special licence is granted. Annual license fees 1st year is $0.10 per hectare. Increases thereafter to a maximum fee of $1.50 per hectare. Coal and common mineral deposits are $5 per hectare. Other minerals are $15 per hectare. Royalties N/A Domestically sold coal base rate: 2.5% of sales value. Other minerals and exported coal base rate: 5% of sales value. Additional rate depending on mineral type, market price and degree of processing: maximum 30% of sales value. Agriculture has traditionally been an important part of Mongolia's economy. It is estimated that it is made up of 80 percent livestock with the remaining being crop production. It employs 29 percent of the workforce, mainly nomadic, and uses 74 percent of the land. 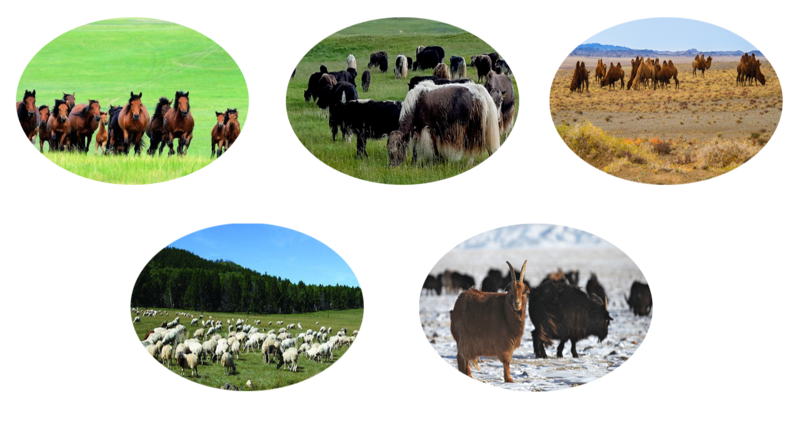 Of Mongolia’s pasture and agricultural land, 27 percent is classified as mountain/steppe and 30 percent as dry grassland. 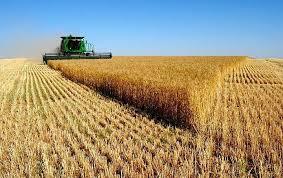 Cropland is 7 percent, which during the socialist period produced to supply Mongolia and export to Russia. The main agricultural exports are leather, organic cashmere, meat, and sheep and camel wool. There is an estimated 66 million head of livestock, composed mainly of sheep (28 million), goat (25.5 million), horse (3.6 million) and cattle (2.8 million) by 2017. There are an estimated 1.2 million hectares of arable land of which only half is in use. Improving the quality of local meat production through the creation of ranches, vaccination of animals to meet international standards, the establishment of slaughterhouses and a refrigeration chain. Mongolia's 23 million sheep produce only 1.8 tonnes of exportable meat compared to 350,000 tonnes from 29 million sheep in New Zealand. Growing market vegetables to supply the Mongolian market in winter months, as an import substitute to vegetables from China. The processing of cashmere, yak hair, sheep, camel wool and leather to high standards for export. In order to support the sector, the government is establishing the Khalh Gol agricultural free zone in Khalhgol soum, with an area of 500 thousand hectares. Tourism has been a growing sector and since the opening of the economy in 1992. Today there are around 500 tour companies, 375 hotels, 390 tourists camps and more than 20,000 people are working in this field. Mongolia has developed a reputation as a key destination for outdoor and adventure sport and other related activities, including trekking, climbing, fishing, hunting and bird-watching, making use of its landscapes, rivers and lakes, and nomadic traditions. 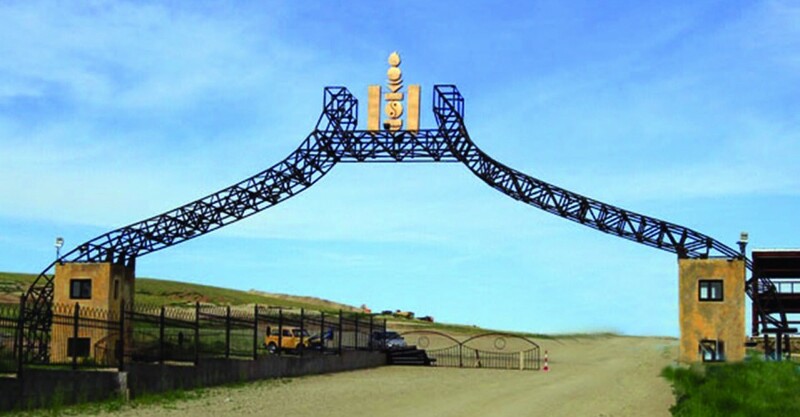 Principle access is through the main international airport is Chinggis Khaan, outside Ulaanbaatar. The Naadam games, which take place mid-July and feature the traditional sports of wrestling, horseback riding and archery. 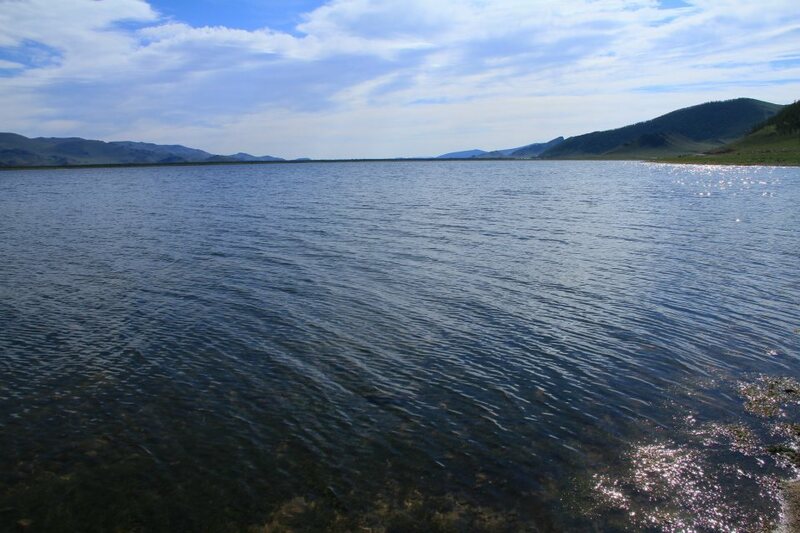 Lakes such as Khuvsgul, which have become popular with domestic tourists and are accessible by road. National parks, featuring pastureland, mountains and rock formations. The Gobi desert, bordering China. 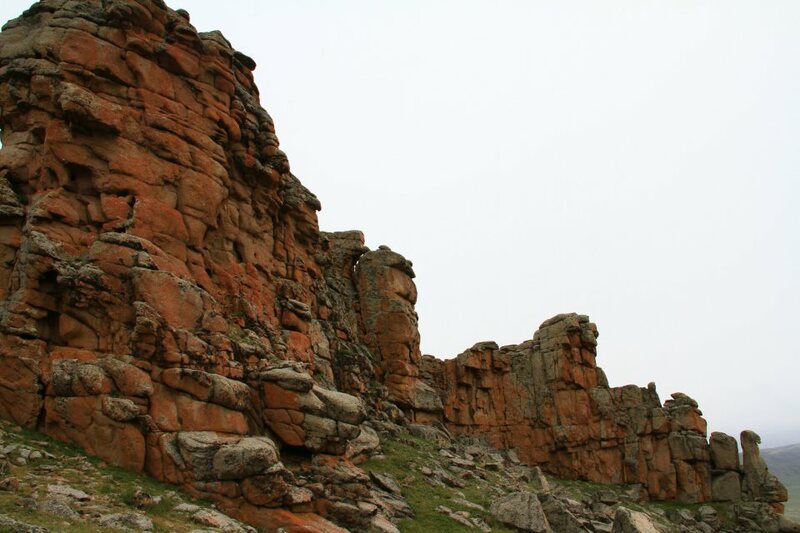 The ancient capital of Karokorum, Chinggis Khaan's fabled city. The country is aiming to be a hub for the North-East Asia region and visitors come mainly from China, Russia and South Korea (mainly for business), followed by the United States, Japan, France and Germany. Tourists are mostly in the senior category. access to all provinces by paved road. Developers wishing to build a lodge in a national park can apply for a permit from the Ministry of Tourism. These are provide for five years and are renewable. With regards to hotels for business and meeting-related tourism, the view is that a recent building boom has let to an over-supply of business hotel rooms in the capital. a government share giveaway to every citizen of around $500 per citizen is realized. The Government has been undertaking extensive efforts to support expansion of the financial services sector. Key recent reforms include include the strengthening of the capital markets, both through the Mongolia Stock Exchange and over the counter, through the Bond Market Law of 2014, the Securities Market Law of 2014 and the Investment Funds Law of 2014 (see box below). Within the banking sector, there are 14 local commercial banks and two representative offices of foreign banks (ING and Standard Chartered). The minimum capital requirement for commercial banks is approximately $12 million. The Central Bank of Mongolia (BOM) formulates and implements monetary policy to achieve its main objective of the stability of the national currency. Foreign banks may establish local subsidiaries no earlier than one year after the establishment of their Mongolian representative offices. The minimum capital requirement for a Mongolian subsidiary of a foreign bank is set at $50 million. Insurance activities in Mongolia are regulated by the Financial Regulatory Commission of Mongolia through the adoption of regulations and issuance of insurance contracts with insurance companies that have not obtained a license from the FRC, including foreign insurance companies. At present the minimum capital requirement is approximately $1.4 million, although expected to increase to $2.5 million in 2017. Improves the security registration procedure, with detailed regulations on listings and IPOs and enabling of dual listings. Is designed to attract foreign investment with the introduction of custodian banks and investment funds, and protections for investors. Improves market convertibility by allowing derivative instruments and asset-backed securities, and over the counter transactions. Increases market transparency by requiring greater disclosure, better governance and introducing self-regulation. Establishes rules for investment funds. Regulates entry into the sector, management of funds, registration of fund assets and publication of information to investors. Facilitates access by citizens and foreign investors to Mongolian assets. Investors signaled that earlier policy shifts, now resolved, had led to caution in the mining sector. Nevertheless they were following Oyu Tolgoi closely. Its performance would act as a bell-weather for the sector. At the same time it was acknowledged that the government had few ways to make mining companies use the licenses they had been granted. Investors felt there were opportunities in manufacturing and industrial processing. However, they pointed to the relatively high labour costs, which would restrict activities to higher value-added. With regards to exporting food products, it was pointed out that the Government needed to legislate for sanitary and phyto-sanitary standards. In tourism, a constraint highlighted was the limited flight capacity, a single international airport and no open skies agreements, which restricted the number and cheapness of flights. It was also expensive to travel around given the distances. It was recognized that the seasonality and isolation could make accommodation expensive. However, domestic tourism was seen as largely untapped and with potential. More high-quality accommodation was also needed. 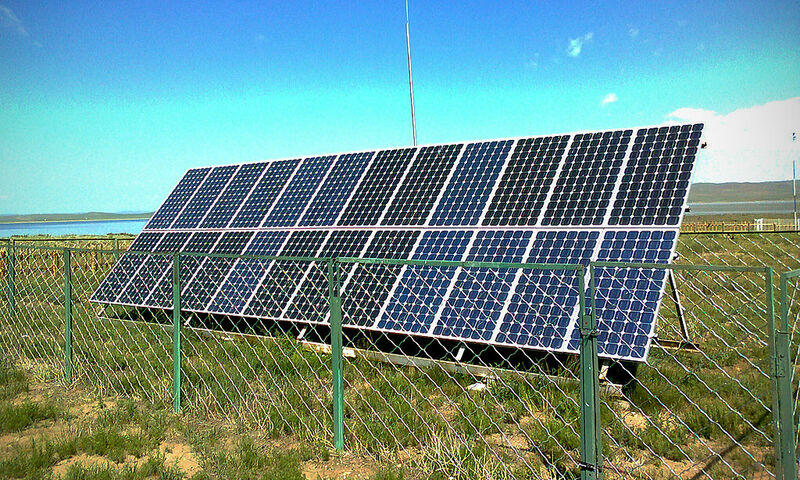 While the mining sector alone still accounts for 25% of GDP and 67% of exports, Mongolia has recognised the potential for development in other fields such as solar and wind power, with a handful of renewable energy projects coming online in spite of the country's antiquated transmission system. Additionally, its combination of pristine steppes and centuries-old nomadic culture make it a quirky and increasingly popular destination for tourists. With a real recovery not expected until 2018, the ruling Mongolian People’s Party, which returned to power with a landslide electoral victory in 2016, now seems committed to securing a deal with the IMF. After this, it must make good on its promises to stabilise the economy if it is to lure back investors and develop the country's economy beyond mining. If not, Mongolia could struggle to recover from the Dutch disease that has hindered its development. Geographically, Mongolia is located on the high plateau of Central Asia. If it definitely an Asian country with nomadic cultural origins. 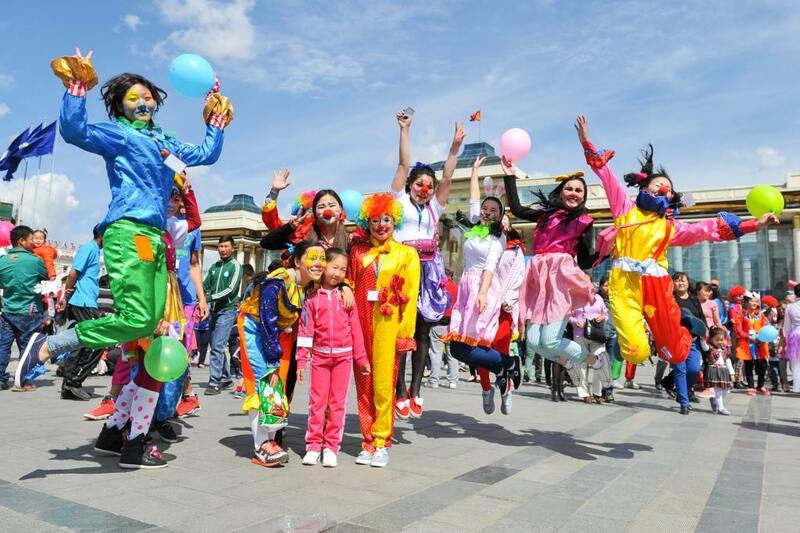 However, the majority of Mongolians, especially those urban areas, are now influenced by Western cultures. they have adopted much from Europe: language, culture, mindset, and lifestyles. In other words, the lifestyles of Asia and Europe coexist in Mongolia and complement each other. Compared to other countries in transition, Mongolia achieved tangible results in trade liberalization. Mongolia's accession to the World Trade Organization (WTO) in January 1997 highlights its relative success in pursuing economic reforms and developing a new trade regime in line with international trading principles. It’s allowed Mongolia to become a part of the global trade regime, access full information on WTO member countries, benefit from human resource development in trade field, etc. The Mongolian government has made increasing trade and exports one of its top priorities. Since its accession to the WTO in 1997, most of Mongolia’s laws covering trade, trade-related policies, and investment have been revised, updated or newly-created to enable Mongolia to meet its commitments as a member of the multilateral trading system. The new laws concern: free-trade zones, standards, sanitation, food safety, trademarks and geographical indications, and licensing, bankruptcy, VAT, government procurement, insurance and rights over land and lands fees. In this field, the Mongolia applies MFN tariffs for WTO member countries. Mongolia has expressed its interest to join APTA in 2007. Mongolia is developing the country, which is heavily dependent on external trade. Therefore, Mongolia wishes to benefit more from trade with our major trading partners. Trade with APTA members accounting for 60 percent of our total trade turnover. This is the first Regional trade agreement for Mongolia and we are pleased that we have successfully completed negotiation with member States. Purpose for adoption of the Trade Act with protective measures used Mongolian national trade policies and of foreign and domestic trade in national policy and commercial legal environment clearly, Mongolian trade relations diversity, supporting government policy coordination and international legal norms on trade, issues such as the need for foreign and domestic trade, traders rights obligations and standards to international levels of quality of product is a specific regulation. 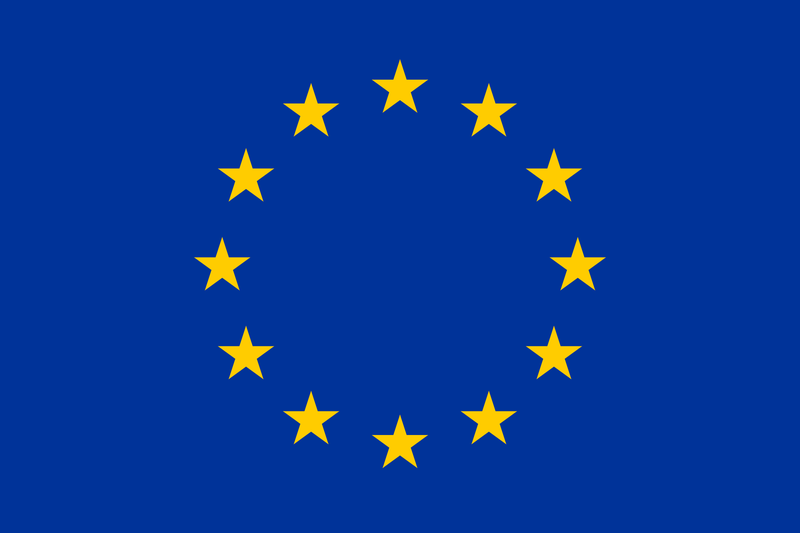 The purpose of this law is to ensure guarantee for trademarks, becomes clear national policy and legal environment for foreign trade, quality standards for imported products requirements for external and internal trade, to protect the rights, legal interests of their owners8 to regulate relations with regard to ownership, exploitation, expenditure of trademarks. Japan and Mongolia have signed a bilateral economic partnership agreement that will expand trade and enhance the strategic partnership between the two countries. 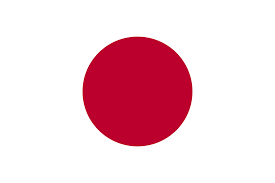 The Japan-Mongolia Economic Partnership Agreement (EPA) entered into force on June 7, 2016, which was signed on February 10, 2015 in Tokyo, following the completion of respective necessary legal procedures in both countries. The Japan-Mongolia EPA is expected to promote liberalization and facilitation of trade and investment between both countries, and to deepen the mutually beneficial economic partnership in a wide range of areas, leading to further vitalization of the economy of Japan and Mongolia. Also, as this is the first Economic Partnership Agreement for Mongolia, it is believed that the Agreement will highly contribute to the strengthening of ''strategic partnership'' between Japan and Mongolia. Mongolia respectively signed the “Agreement on Mutual Protection and Promotion of Investment” with Canada (September 2016). Mongolia has currently concluded tax treaties with 26 countries. Transit discussion with China (2 agreements signed). Mongolia actively strived towards the goal of recuing corruption in recent years and has made significant progress. For example, the Corruption Perceptions Index (CPI) study was calculated domestically and reported to the public. This report has been released every other year since 2009. Even so, the level of corruption in Mongolia is continuing to decline. Internationally recognized organization Transparency International’s survey confirms the report. According to it, Mongolia was ranked the 87th among 176 countries, going up against the 2016 index. Mongolia was 72nd among 168 countries in 2015. Dependent government agencies such as courts, audits, legislative and enforcement agencies are causing increased corruption in Mongolia. In addition, major corruption cases go unnoticed and unpunished. According to the most recent report, corruption crimes related to civil servants fell 22 percent. Even so, the level of corruption in Mongolia is continuing to decline. Internationally recognized organization Transparency International’s survey confirms the report. On 1 July 2014, the Parliament of Mongolia adopted theLaw of Mongolia on Glass Account("Account Law") in an attempt to ensure the efficient and proper use of state and local government funds, the transparency of decisions and actions concerning budget management and public overview of the same. The Glass Account Law entered into force on 1 January 2015. It will help build a smarter, more responsible and accountable governmentand for prevention against of corruption. Young and well- educated population of Mongolia is considered to be a great asset as investors are facing considerable challenges elsewhere in Asia. Mongolia offers excellent opportunities with its growing, young, and dynamic population -- an indispensable contributor to a strong labor pool and a lucrative domestic market. According to the survey UN Population Fund (UNFPA), in 2012 “Of demographic changes in social, economic, development and impact of social policy Mongolia”, mark is for that demographic "window period" as defined so far. At the end of 2016, Mongolian population reached of 3 million. In terms of the age structure, about 60 of total population- people with age of 15-64, 36 percent 0-14, and 4 percent of total population- people with the age above 64. Mongolia has a high literacy rate, consistently rated around 98.6 percent. Labor force in Mongolia is capable of quickly adapting to changes resulting from competitive economy to meet the increased demand for skilled workers. By the end of 2016, Geological prospecting, oil exploration & miningsector 64 thousand, ,human health and social security sector 37.8thousand, , Hotel and catering services 34.7thousand, Transportation and warehousing sector61.6thousand, and International organizations and representative1.6 thousand, Construction sector 59.1 thousand, Education sector 93.2thousand are engaged in employment of higher education. Education remains a priority for the Mongolian government, as shown in its below average education expenditure when compared to other Asian countries. Mongolia spends 4.2 percent of its GDP on education. Mongolia is bordered by Russia to north and China to the south. This unique geographic location provides an opportunity to supply any products produced in Mongolia to two huge markets of the world. Since ancient times, Mongolia has been a transit trade route. Today, it still remains as an open and safe transit route. Both countries are the largest trading partners of Mongolia. In the modern world, Mongolia sees its landlocked location between Russia and China as an opportunity to link them. Also the geographic proximity provides good opportunity for Mongolian products and services to access their markets. Mongolia is landlocked economy from its traditional dependence on herding and agriculture. Exports now account for more than half of GDP. Mongolia depends on China for more than 60% of its external trade - China receives some 90% of Mongolia's exports and supplies Mongolia with more than one-third of its imports. Our foreign policy priorities are to maintain friendly and balanced relations with our neighbors, China and Russia, to expand our “third neighbor” policy, to work closely with the countries of the of the Asia Pacific region, and to play an active role in the international arena. Mongolia maintains a historic, traditional, comprehensive and at the same a strategic relation with Russia and China. Normal working hours 9 a.m. to 1 p.m. and 2 to 6 p.m. According to statistics on foreign direct investment, since Mongolia adopted free market economy in 1990, a total of 14,200 foreign companies have been established and invested over USD 21.4 billion, of which USD 4.9 billion are from Oyu Tolgoi project in 2011. It is worth noting that this year's statistics are much positive compared to the same period last year. For example, in the first half of 2017, FDI grow by 7.8 percent, and the number of newly invested companies are increased by 42.9 percent in the first three quarters. In addition to that, these foreign companies have created more than 38,000 jobs over the last three years. This is not only significant to the labour market, but also to the national economy.